The amount $13.92 reflects the "per shipment" price. Your card on file will be charged this amount (plus shipping fees) at the time of each shipment. 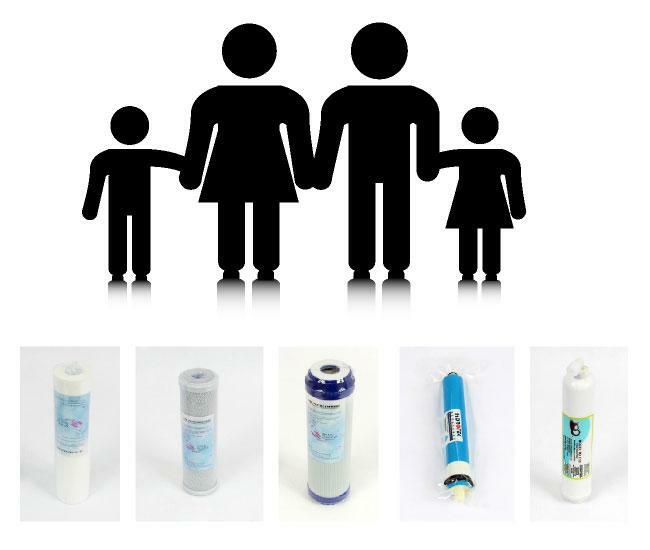 You will receive one spun filter every 4 months, one carbon filter every 9 months, and one R.O. filter every 24 months (beginning at month 12). Review the chart below to see the shipment schedule along with which filter replacements you will receive. Since this is an indefinite filter replacement plan that continues until cancellation for a medium family (4 persons), total price will depend on how long your plan lasts. We have provided a price per year figure for reference. *The $100 instant rebate is contingent upon a minimum 1 year filter plan subscription. If your plan is canceled prior to the 1 year time period, you will incur a $100 fee to recoup the amount of the instant rebate. If after the 1 year period, the filter plan is canceled your account will not be billed this recuperation fee. Receive a $100 Instant Rebate with Purchase of a Filter Plan & Reverse Osmosis System Just buy a Reverse Osmosis System and a Filter Plan together and we'll deduct $100 instantly upon check out. The Filter Plan Advantage - Save money instantly with one of our filter plans! Keeps filter purchasing just when you need it, no need to remember when it is time to repurchase and also prevent over purchasing for lower usage households. Instantly save $100 off your RO Machine with the purchase of any Filter Plan at the same time as the RO machine.